Home & Building Inspection Services Lansing, MI | Michigan Property Inspection Inc. Helping home buyers and real estate investors cross the threshold with confidence! Cross the threshold with confidence! PAUL BOSSENBROEK has been serving home buyers and real estate investors in the mid-Michigan area since 1987. He is a Certified Member of the American Society of Home Inspectors (ASHI) and holds a Michigan Residential Builder’s License (#2101060903). Highly regarded by his peers, Paul was one of the first ASHI inspectors to earn Master Inspector Certification with the Great Lakes Chapter of ASHI. He faithfully attends quarterly continuing education seminars. 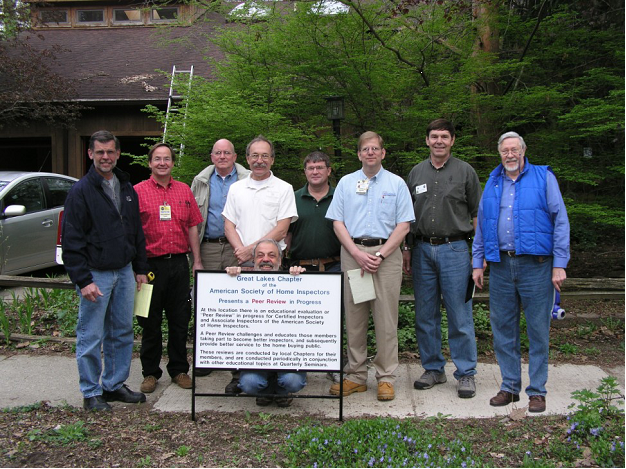 Paul serves on ASHI’s Great Lakes Chapter Peer Review Committee and on the Board of Directors of the Michigan Association of Home Inspectors (MAHI). Once you've submitted an offer to purchase contingent upon an inspection and your offer has been accepted, schedule an appointment when you can be present during the inspection. Michigan Property Inspection provides 48-hour radon testing using continuous radon monitors that are calibrated annually. We recommend every home inspection include radon testing.